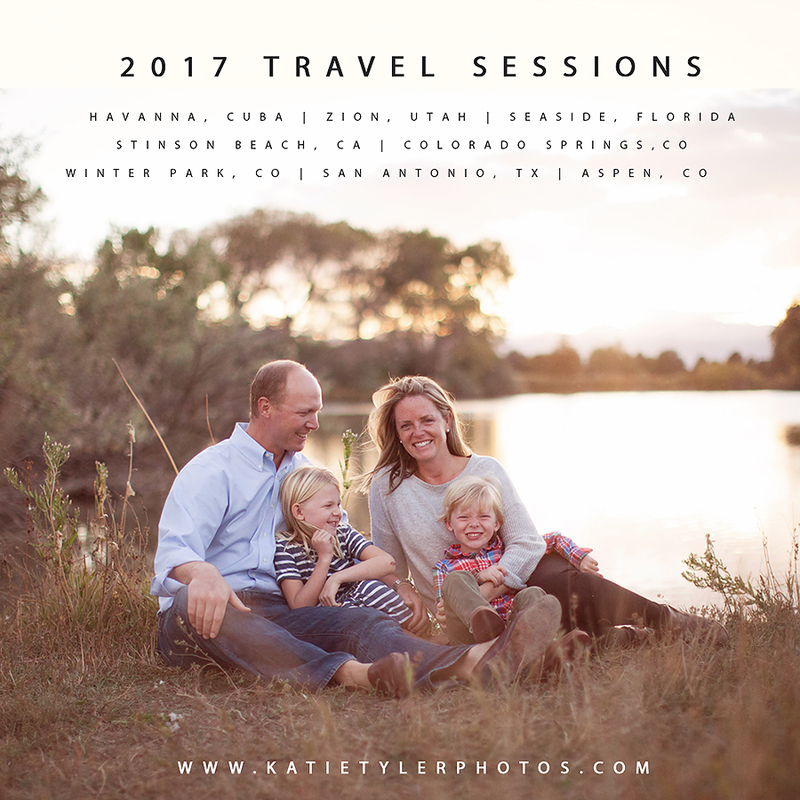 I’m SO excited to announce my 2017 Travel Sessions!! If you’d like to request that I make my way your way… shoot me an email! $1250 for a 1.5 hr photo session. You will receive the top 20 images from your session within a 2-3 week turn around. Travel sessions are first come first serve. Please email: katie@katietylerphotos.com to book your session. A 50% down deposit is required to reserve your spot.